Kia Motors Corporation wanted to introduce America to the Niro, a new hybrid subcompact crossover SUV model. 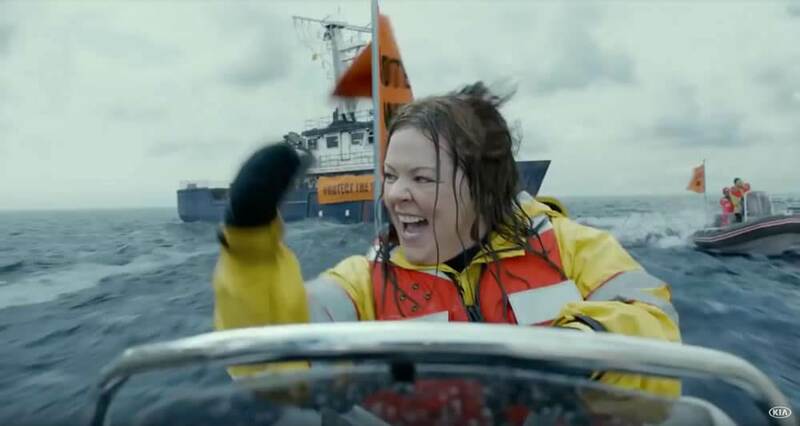 For a big reveal, they worked with their ad agency David&Goliath to develop a 60 second commercial starring actress Melissa McCarthy with a premier spot during the Big Game, annually one of the most watched TV air times in the United States. D&G than decided to capitalize on the expected rise in visits to Kia’s Facebook page that the ad would generate by running a Sweepstakes that would increase engagement with the Kia brand, helping them to stand out amongst the ultra-competitive field of Big Game advertisements. Kia approached Contest Factory with just over a week to spare before the air date. Fast work was required to get the high-profile Melissa’s Precious Gear Sweepstakes up and running on time. Kia had already developed a Facebook messenger chatbot which would initiate a conversation with visitors to Kia’s Facebook page and guide them to enter the Sweepstakes, which was to be divided into four separate prize periods the day of and after the game. It was Contest Factory’s job to quickly build four distinct Sweepstakes sites embedded within Kia’s Facebook page, each with specific layouts and prizes, and develop the official Sweepstakes rules. Contest Factory worked overtime to make it all happen, connecting with Kia’s chat bot and implementing the Facebook page apps that embedded four custom designed Sweepstakes landing pages, prize pages, and thank you pages with viral share options, and ensuring everything fit seamlessly across all desktop, tablet, and mobile platforms. The Sweepstakes launched as scheduled without a hitch. The huge Big Game audience, spurred on by the award-winning commercial, visited Kia’s Facebook page in droves, where the chat bot gave them a link to Melissa’s Precious Gear Sweepstakes. From here they could effortlessly enter the Sweepstakes, share the link with their friends, and return later to enter again for all four phases. To monitor the promotion’s effectiveness, Contest Factory’s Viral DNA analytics software provided Kia with real-time promotion data on user engagements including registrations and the number of times the promotion was shared by users on social media. Contest Factory handled all post-promotion winner verification and prize fulfillment tasks. Kia and D&G were both very happy with how everything came together and worked smoothly.